Many new Internet marketers mistakenly use the terms 'affiliate' and 'reseller' interchangeably. To set the record straight, I compare and contrast the two marketing methods below. 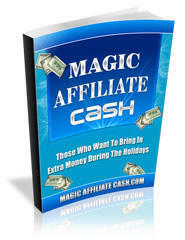 o Cost to Join - Affiliate programs are FREE to join, whereas resellers must BUY products the products they sell. o Payment Scheme - Affiliates typically earn a percentage of the purchase price, while resellers retain 100% of the proceeds from product sales. o Product Fulfillment -Resellers must handle their own product fulfillment, including carrying inventory, order processing and shipping. In the case of affiliate marketing, the merchant handles all of the above. o Product Pricing - Each affiliate sells the product for the same price. Resellers can often set their own prices, although competitors may undermine their efforts by offering the same product for a lower price. o Lead Generation - Although affiliates can collect names and email addresses from visitors to their sites, the affiliate rarely knows exactly who buys their affiliated merchants' products. Because resellers handle product fulfillment themselves, they collect names and email addresses from those who buy their products, in addition to those who sign up for their opt-in lists on their sites. This benefits the reseller in that they can do follow-up or 'back-end' sales to existing customers. As you can see, there are advantages and disadvantages to both types of Internet marketing, however, both methods can yield decent profits and are worth the effort. Whether you choose to become an affiliate or a reseller depends on your current level of experience, as well as how much time, money and effort you can or want to put into your business venture.